Cloud chamber, also known as Wilson chamber or diffusion cloud chamber, is a device capable of displaying invisible tracks of ionising radiation, which makes it unique tool for intuitive and fun education of nuclear and particle physics. How does a cloud chamber work? The theoretical description of diffusion cloud chambers is basically the theory of phase transitions. Cloud chamber invention is credited to a Scottish physicist Charles Wilson, who studied cloud formation in expansion cloud chambers. (i. e. cloud chambers achieving required condensation conditions by gas expansion). Precipitation of liquid droplets from vapour requires two basic factors. Saturated vapour pressure at given pressure and temperature, and condensation nuclei. Wilson observed that apart from dust or other solid particles, ions can serve as condensation nuclei for droplets. Thus the theoretical basis of cloud chambers was laid down. Cloud chambers are devices used to visualise particles of ionising radiation. This radiation originates in decay of radioactive materials. However, particles of ionising radiation are very small and move at high speeds which makes them impossible to see with a naked eye. 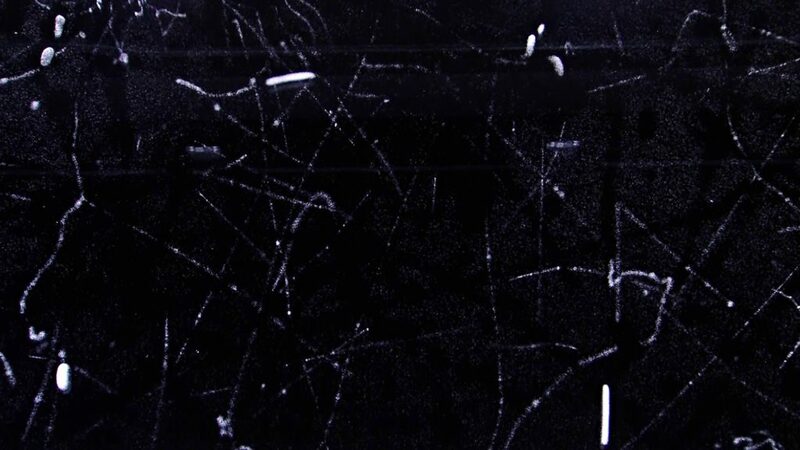 The displayed cloud traces are formed due to specific conditions inside a cloud chamber. A layer of supersaturated vapor is created over the black observational area as a result of a temperature gradient. While the observational area is being cooled, in the upper part of the inner space of a cloud chamber – in the duct – isopropyl alcohol is heated. Isopropyl alcohol which evaporates from the duct descends towards the cold observational area. Over its surface it creates a layer of supersaturated vapor approximately 1 cm thick. If an electrically charged particle flies through a layer of supersaturated vapour of isopropyl alcohol, we see its track in a form of a bright white line. The charged particle causes ionization of molecules of isopropyl alcohol, which act as condensation nuclei. The observed white track is a dense cloud of very small droplets of isopropyl alcohol formed by rapid condensation. A white track, formed after a passage of a charged particle, contrasts with the black observation area and is clearly visible even with a naked eye. No two cloud tracks are identical and they differ enough to allow us to identify which particle caused it and to determine its properties – sometimes even its origin. The formation of white tracks is analogous to contrails (condensation trails) created by airplanes in the sky. 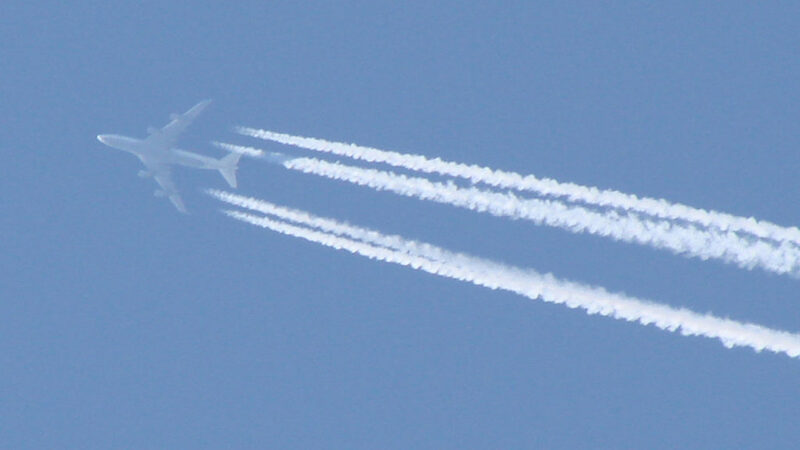 When airplanes fly at high altitudes, the water produced from burning fuel condenses due to low temperature. Resulting water droplets or ice crystals can serve as condensation nuclei for surrounding water vapour making the trails thicker and longer-lasting. Similarly, the saturated vapour in a cloud chamber allows the tracks to last long enough to be easily observed. In cloud chambers a temperature gradient above a cold surface is used to create a layer of supersaturated vapour (of water, isopropanol or other liquids). Such vapour immediately precipitates into small droplets in presence of condensation nuclei. Charged particles of radiation can provide such an impetus and create cloud tracks visible even by naked eye. This explanation is actually very similar to formation of cloud tracks behind airplanes, which we know from everyday life. The first cloud chamber was invented and constructed by a Scottish physicist Charles Thomson Rees Wilson. The device was switched on for the first time in 1911 after almost twenty years of development. In 1927 Charles Thomson Rees Wilson was awarded a Nobel Prize in physics for his method of making the paths of electrically charged particles visible by condensation of vapour. A cloud chamber serves for displaying electrically charged particles, which come from different natural sources, such as secondary cosmic radiation, natural radioactive background, or from artificial sources of radiation. Radioactivity, also known as radioactive decay is a phenomenon of transformation of the inner structure of atomic nuclei. It is often accompanied by a release of ionizing radiation (alpha, beta or gamma). Radioactivity is a natural phenomenon, which is not caused only by human activity. 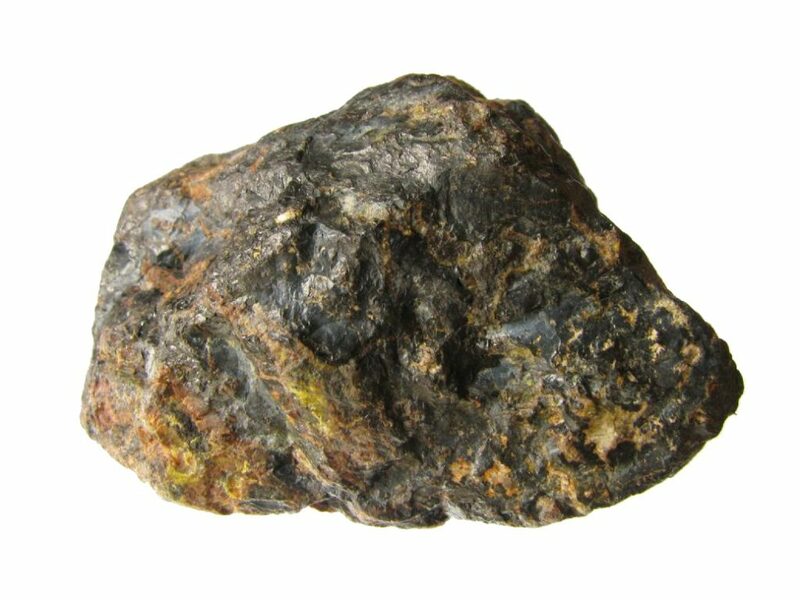 There are many natural radioactive materials like uranium ore or even bananas! We can illustrate radioactive decay by a simple analogy. Let’s imagine an obese person. Obesity is not natural for people in general, so he would like to lose some weight. The easiest way how he can achieve that, is to throw away useless fat reserves. The same motivation have the atomic nuclei, which are in a state that is unnatural for them. For example, they may have a high number of neutrons; in other words, they are too big. Such nuclei tend to change their structure by, e. g., getting smaller by alpha particle emission (two protons and two neurons in a helium nucleus), or they change a neutron to a proton, while emitting an electron (beta minus decay). 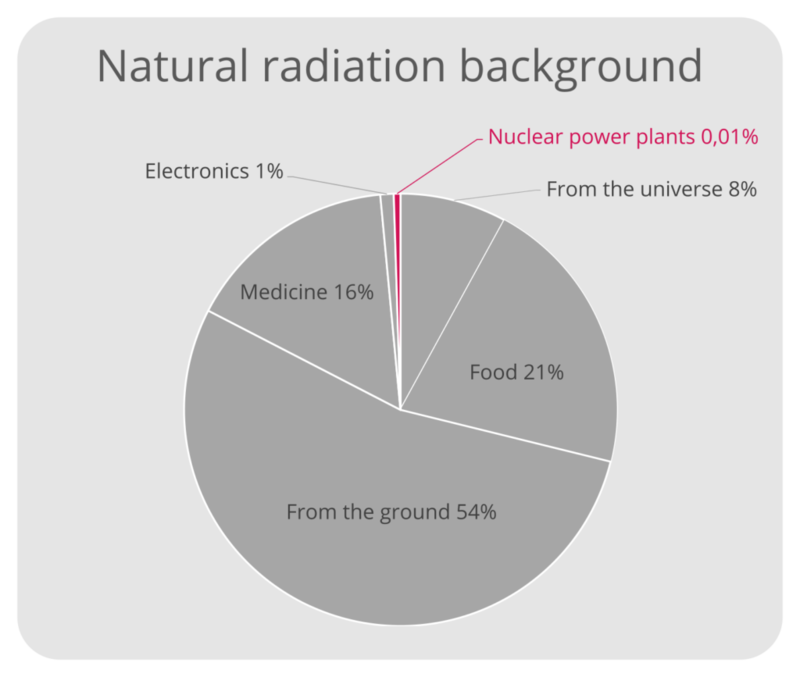 Although the term radioactivity is mostly associated with nuclear power plants, they form only a tiny fraction of the entire radioactive background. The term radioactive background is used for all radiation we are exposed to when living on Earth. The radiation caused by the nuclear power plants is miniscule, even if we include the nuclear catastrophes like in 1986 in Chernobyl or in 2011 in Fukushima. Many concepts in science are difficult to grasp. Some of them are challenging mathematically; some of them by their complexity. And some of them are just on a completely different scale. Molecules, atoms, subatomic particles – all of these form an extremely useful framework of concepts in science. Why is it that the whole world firmly believes in something that we can never see? There is a strong experimental evidence supporting their existence. Even though, they are impossible to see and even difficult to grasp mentally, particles of all sorts have piled up a huge amount of evidence of their existence. Electricity, radio, electronics, drugs and other chemicals, nuclear power plants, and so much more is possible only because the theories are valid. A crucial problem in the microscopic science has always been visualisation. The most illustrative way to visualise particles is displaying them in the diffusion cloud chambers. Even the smallest elementary particles trigger precipitation of liquid droplets resulting in easily visible cloud tracks. Nowadays, cloud chambers have been replaced in science by electronic instruments, but in terms of hands-on experience, they are unbeatable. The standard model of particle physics is a theory which describes three basic forces (interactions) and basic (elementary) particles, which constitute all matter in our universe. According to this theory, the whole universe is composed of six kinds of leptons and six kinds of quarks. We can describe all their relations by three kinds of interactions – strong, weak and electromagnetic interaction. Although we already know that this theory is not perfect, for example, it does not explain gravitational interaction, it is currently considered as the best model of how the universe works. Electron, mion and tauon have negative elementary charge and thus can be oberved in a cloud chamber. Typically electrons are observed, less often also muons. All matter consists of leptons and quarks. Leptons comprise electrons and their heavier counterparts mion and tauon together with their corresponding neutrinos (electron, muon and tauon). Every lepton has its antiparticle; most common are positrons, the antiparticles of electrons. The other particles, quarks, form hadron particles. There are six types of quarks and each one has its antiparticle. 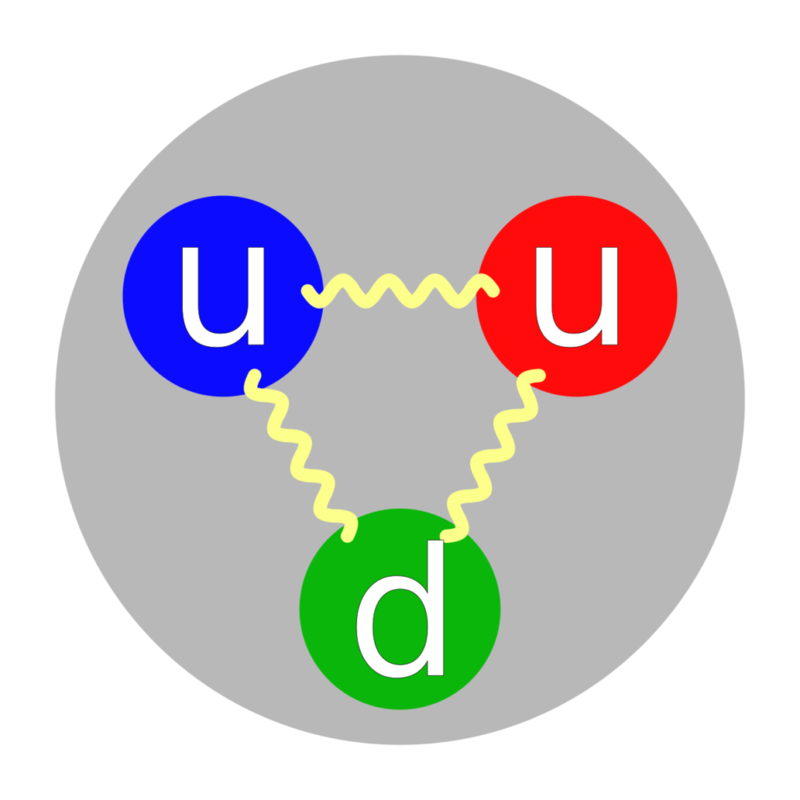 An example of a particle composed of quarks, are proton and neutron, which form atomic nuclei. 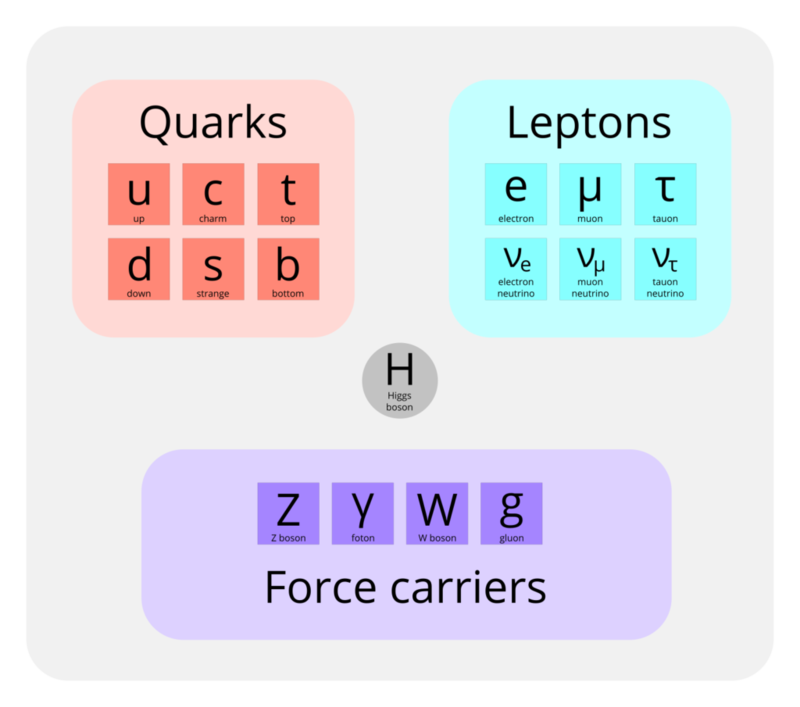 Different particles comprised of quarks are mesons e. g. pions and kaons. Both these mesons were discovered using cloud chambers. Interactions described by the standard model of particle physics are mediated by intermedial particles – electromagnetic interaction by photon (light, gamma radiation), weak interaction by bosons W+, W– and Z0 (radioactivity) and strong interaction by gluons. An unusual particle is the Higgs boson belonging to so called “Higgs field”, which is responsible for non-zero mass of particles W+, W– and Z0 particles have non zero mass. The Higgs boson was discovered as the last particle of the standard model by the CMS detector at the Large Hadron Collider (LHC) in CERN in 2012.